Andrew Lord is a British sculptor working in ceramics, whose work emerges by directly grappling with the clay, the final sculptures bearing signs of struggle between the resistant material and the artist. 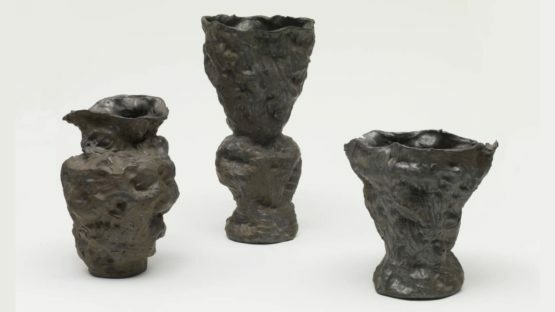 Throughout his career, the artist has used forms such as coffee sets or vases as grounds on which to consider painterly notions such as how light falls, or to refer to other artists, including Picasso, Duchamp and Jasper Johns. Andrew Lord was born in northern England in 1950, and is based in New York since the 1980s.